The Chinese language is one of the favorite languages desired to be learned by many people across the globe. Almost many speakers worldwide know to speak Chinese. When you take a survey of the people Republic in China or Taiwan, a complete count of about 1.3 billion people speaks Chinese. English speakers can find Chinese a bit complex to learn, but with involvement and daily practice, it is quite easy to learn Chinese. 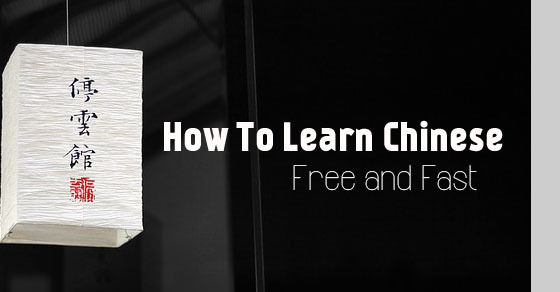 Let’s glimpse through a few hints about how to learn Chinese language free and fast. The following mentioned are few best tips to learn Chinese language. In order to learn Chinese free and fast, audio books are available online; these books can be downloaded to your system. These books have a number of online sessions which includes reading, writing, audio, speaking, grammar, latest vocabulary, exercises, examples, and calligraphy. They are available in mp3 format for the purpose of downloading. There are a number of free online Chinese classes that are available which provides learners with basic Chinese lessons and also offers free practical vocabulary. Learners can also learn the foundation required for conversational skills by means of listening and repeat formula through online classes. There may be few words which would be tough to pronounce, but with repeated practice and good capability to recognize sounds, it becomes easy. There are a number of free Chinese language learning softwares available online too. This softwares teaches the most important Chinese words and phrases with an addictive, easy and quick step learning process. They use a number of methods such as making use of flash cards, playing games, and many other methods in order to make your Chinese accent perfect. The software helps learners to hear Chinese spoken language, read as well as see the formation of letters, write phrases and words, tracking your learned aspects and accessing your learning sessions for unlimited. The best resources to learn a foreign language like Chinese are the websites. There are abundant websites which can assist you in learning Chinese characters , words, grammar, phrases, character sets, quizzes, and more. • Chinese pod: This is one of the greatest destinations which are used for vocabulary. The site has a built-in player which assists in checking your vocabulary. There are a number of free lessons which can be learned and utilized. • E-Chinese learning: This is one of the best website that offers one to one learning for the Chinese language. This is an online tutoring for the Chinese language which has a professional Chinese speaker. When signed up with the site they provide you with a free lesson and e-book. • From online Chinese school: With the number of online Chinese schools, the Hanbridge Mandarin is one such source which is an online language school which has a complete selection of courses which is crafted to fit the needs of Chinese learners. The site offers free one to one Chinese learning lessons. They offer online virtual classroom features in their teaching sessions. They possess instant messaging, e-white boards, quality sound, video and lot more. • Chinese grammar wiki: This is a free comprehensive Chinese grammar resource online which has more than 1680 articles. The source has drafted the parts of speech according to the difficulty level, which is made clear with usage and learning friendly grammar. In order to learn Chinese free and effectively there are a number of free online resources which are mentioned. Some free resources are Anki software, YouTube, TuDou, YouKu, Jukuu, Tatoeba, free Chinese Podcasts, MDBG, Chinese forums, Chinese language stack exchange, Perapera-kun plugin, and Chinese boost. Enthusiasts who desire to learn the Chinese language free and fast can check out these resources and make use of them. For people who wish to learn Chinese fast, free and quick can opt for the number of books that are available online. Books that can be referred to quick, and understandable learning are new practical Chinese reader book series, fact and fantasy Chinese reader series, Chinese reader made easy, learn and remember Chinese reader character and their meanings, and more. The Perapera Chinese popup dictionary is a plugin and also a pop-up dictionary and study tool which is available as a free add-on. This is available for both Mozilla Firefox and Google Chrome. The navigation is to get to a web page in Chinese Mandarin and point out at some character which you are unaware of. By this way, a gray window pops up which has the pronunciation and meaning of the character. In the same manner, Zhongwen Chinese pop-up dictionary is another one which is similar to above concept but works only on chrome. Memrise, Pleco, and Anki are the collection of language learners which is used by many people. Here a number of users share pictures, mnemonics, videos, audio, materials, and more. These types of sites are editable for free where any user can make use of flash cards, create memos and add words. Skitter is another source which can be used by learners to practice and write strokes which are required by Chinese characters. The source also allows suggesting corrections if any mistakes are made. In order to learn Chinese quick and perfect, WeChat is another source that offers voice as well as group chat, video calls, free calls, and also obligatory message stickers which are prominent with the younger generation people who wish to chat and learn in Chinese. There is a wide range of dictionaries which is beneficial for Chinese learners. To get to know a wide variety of phrases and words in Chinese a number of online dictionaries are available. In that manner, the MDGB is one such dictionary. Pleco is another app that offers free convenient dictionary through which words can be looked up alive. It is one of the most popular CC-CEDICT which possesses about 1, 00,000 latest updated entries which also has its own PLC dictionary. The dictionary is useful as it has nearly has 78,000 detailed entries with 20,000 example sentences. Another famed desktop dictionary used is the Line Dect which provides both Eng-Chi and Chi-Eng prompt translation which is associated with well-known text messaging Line App. To learn the Chinese language quick and free, apps can be downloaded to Android and iPhone. There are a number of apps that can be researched and downloaded for people who desire to learn Chinese offline. The “50 languages” app is one such app which has 30 free lessons, from Chinese curriculum book2 which also possess all test and games in the app. The Chinese language course can be learned through the mp3 audio files by book2. Learning the basics is the first step that is to be followed as varied tones can change the meaning of the word. So learning the tones, basics are important in order to learn Chinese correctly. The first, second, third and fourth tone must be learned in the right manner in order to learn perfect Chinese language. Memorizing the basic vocabulary of Chinese language is an vital aspect . The more words you know in Chinese, the more fluent you can become in the language. Hence memorizing Chinese vocabulary is important. The numerical system in Chinese is straight forward and logical, hence learners should make sure to concentrate on the numerical system of Chinese language. The numbers helps you to master counting double digits and more numbers. Once the learner is good at vocabulary and pronunciation, the learner should get to learn a few basic conversational phrases which are useful in everyday Chinese language. Some of them would be “hello, what is your name, excuse me, thank you, I can’t understand, you are welcome, goodbye” and lot more. From the various sources mentioned above, studying basic grammar and also reading and writing Chinese characters can get you trained in the language quickly. Learning grammar and characters is made simple with the various apps and online sources available. Chinese language can be learned from a number of websites, there are few paid and free websites too. Learners need to research and pick the right website that benefits them. The websites offers interactive audio lessons which are perfect and simple way to start the learning Chinese language. They provide built-in pronunciation practice sessions which make conversing Chinese in the right manner. Your learning process is tracked and your performance is rated in these websites. The lessons are kept track and practiced accordingly. The students are linked with the member’s forum in the site which helps the students to chat with other Chinese students and develop their learning. The sites are user friendly and useful for new Chinese learners. When you get registered with websites they offer life time access where the learner does not have to pay any fees for their study. By registering with such sites you would receive regular updates and news about Chinese language. With the number of sites to learn and update with Chinese language, they offer a number of important aspects necessary to excel in Chinese language. Some of the aspects in learning Chinese language are Chinese words, phrases, verbs, learning blog, dictionary and more. “Spoken Chinese 900” for beginners with CD audios is a useful free download found in here. The free download offers about 19 lessons with about 50 case situations which are portioned into 5 sessions. They are Chinese key phrases, dialogues, lexical and grammatical explanations, dictionary and exercise. This makes understanding Chinese language a bit easy. Other free books that can be downloaded online free are “easy Peasy Chinese” which can be downloaded from the same link mentioned above. The book helps learners read, write and speak Chinese easily. Listening to the content carefully helps learners to pronounce words in the right manner. There are ample free books online where the learner needs to dedicate time to research and find more materials for studying the new language. Other resources that are found in the websites in order to make learning Chinese easy are listening to Chinese radio, watching Chinese television, reading Chinese newspapers, learning free lessons, running through e-books, Podcasts, private classes, cartoons, crosswords in Chinese and lot more. All these aspects play a key role in developing Chinese language and making learning easy and understanding. Learning Chinese can be made free and fast with the abundant free sources available online. The learner must only have the determination to learn the language quickly and keep practicing all the basic of Chinese in order to learn it quickly. Learners are advised to get through the various sources mentioned above, research and download their suitable app or software and initiate their learning process. Learning Chinese these days have become very easy by making use of the various sources that are available on the website. There are online Chinese tutors also available in order to teach you Chinese quick and easy.